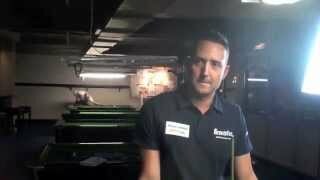 World champion pool player Gareth Potts explains the basics of taking rail shots, and goes into detail on how to practice them. 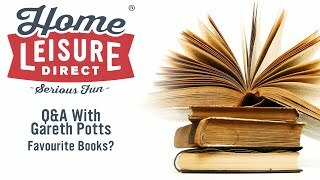 Q&A With Gareth Potts: What's Your Favourite Book and Why? 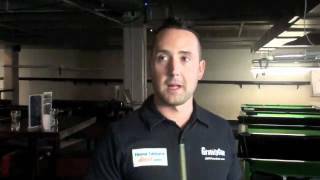 Q&A With Gareth Potts: Has Going to the Gym Improved Your Game? 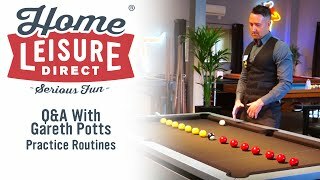 Q&A With Gareth Potts: What Practice Routines Work for both English and American Pool? 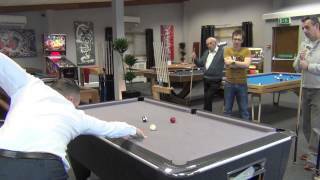 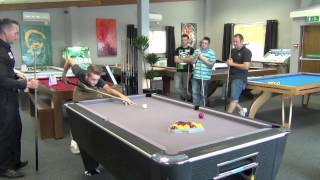 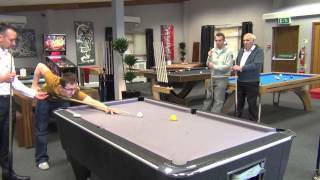 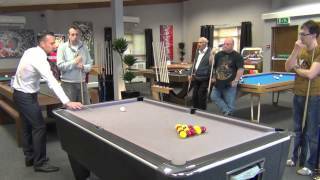 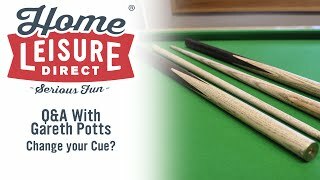 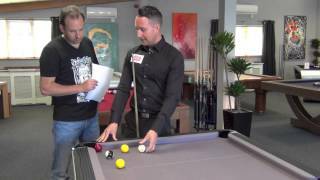 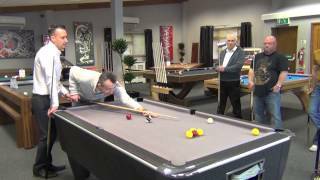 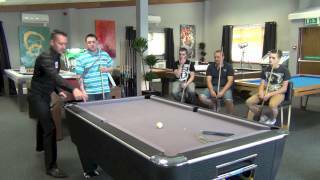 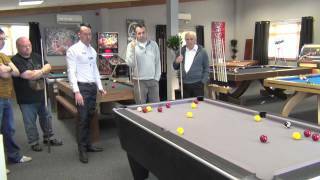 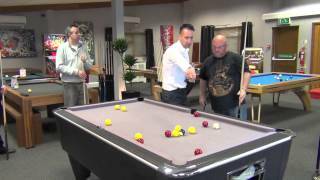 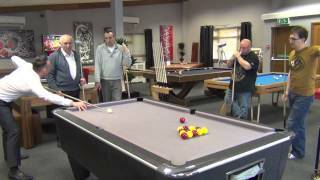 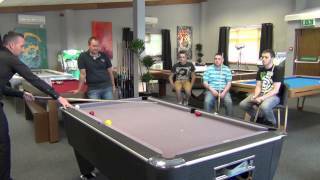 Q&A With Gareth Potts: How Often do you Change Your Cue? 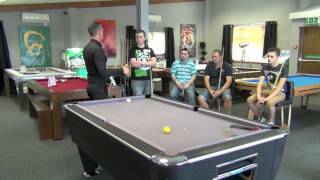 Q&A With Gareth Potts: What do you Practice in Prep for Tournaments? 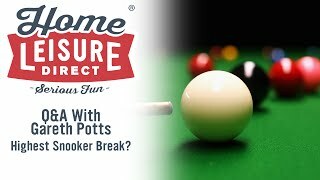 Q&A With Gareth Potts: What is your Highest Break in Snooker? 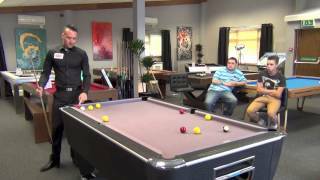 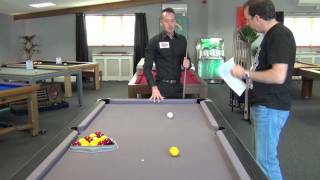 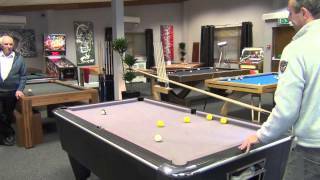 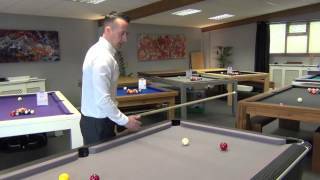 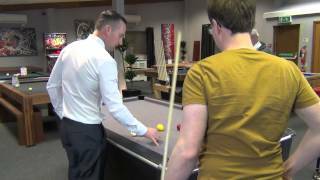 Q&A With Gareth Potts: Would you be Tempted to Switch to 9-Ball? How to become consistent at playing pool? 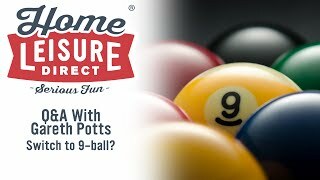 How to line up a shot when using side spin? 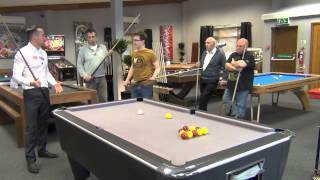 How to plan the order of shots in pool? 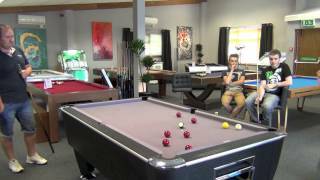 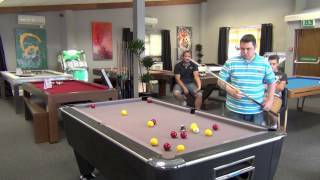 What do amateurs do wrong playing pool?